Dog Kennel or Pet Sitter? Dog kennel visits tend to be a last resort for those that are leaving town. Whether to put your pet in a dog kennel is a question every pet owner experiences at least once. But a dog kennel can be a good thing. Just as hotels are vying for the pet traveler’s business, so to are kennels…and the competition is fierce. Today’s dog kennels often try their hardest to make their furry customers feel welcome and cared for. Many resemble a home with couches, beds and plenty of water bowls throughout. 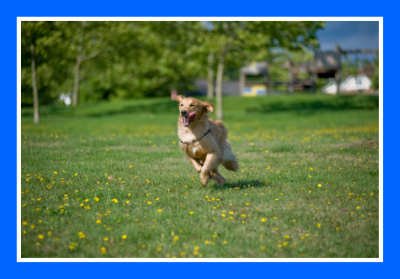 Some offer training classes, have swimming pools where dogs can cool off, dog runs and grassy play areas. Others even offer nutrition and a serious gym routine to keep off unwanted pounds. Vacation Pet Friendly has dog kennel listings in nearly every U.S. city. Make sure to browse through our Travel Guide for kennels, dog sitters, dog walkers and everything else that’s pet friendly in every U.S. city. Here you will find descriptions, maps, comments and photos. One of our favorites in the Los Angeles area is Glendale Pet Resorts. Like many of today’s kennels, it is so much more than just a place for your dog to spend the night. Its owner is Epi Gumatay, who is world-renowned for training dogs for the military. He is so good with animals that you will undoubtedly see many celebrities dropping their pets at the door. What makes his kennel special is the dogs are happy and feel right at home. This is how a good dog kennel should be. The website does not nearly convey all that this kennel offers, so we strongly suggest calling the dog kennel beforehand and asking any questions you have. Every city has a dog kennel. Your decision should be more about finding the right one i.e. the one that fits your needs. Here are some questions and answers regarding the care and amenities you should expect from a good dog kennel. Here is a good article on pet hotels that also can be helpful when search for kennels that can help you ask the right questions. What are the qualifications of the staff at the dog kennel. Can you be fairly certain the staff is comprised of professionals trained in the care of animals? Do the animals like the staff members and seem happy to be there? Pets left at a kennel may get anxious at first. A good kennel staff personnel knows how to make animals feel right at home from the get-go. Here is a good article on Kennel Trends. At a dog kennel, your pet typically will be under the care of several people. At least two staff persons will be around all business hours, and someone will be on duty at night, too. The main reason is if there is an emergency or there are two dogs that don’t get along, someone needs to be there. Vacation Pet Friendly is partial to kennels that have 24/7 supervision. In addition, someone at the kennel should know CPR for pets. Here is a great video produced by our friends at Vacation Pet Friendly. This organization offers excellent tips on pet first aid and disaster response via a series of workshops. Your dog kennel will have at least one play area. This may be a fun indoor “obstacle course,” or an indoor or outdoor running area. Perhaps a combination of both, if it’s a larger kennel. This ensures your pet will have plenty of opportunity to play and exercise with other doggie friends. Making arrangements for your dog to stay at a pet kennel is a simple process. As long as your pup is current on his vaccinations and yearly vet visits, providing for his well-being during your absence can be as easy as making a phone call. The benefits increase if you travel often; the kennel staff will become familiar with your dog, and your dog will become more and more familiar with the facility. Just drop your pooch off and pick him up when you get home. No hassle, no worry! Check out our listings of kennels today. Again, we’ll provide you with websites, phone numbers and kennel policies so you can find the right one for your dog’s needs. The dog kennel must incorporate special necessities for boarding. A dog needs room to run and be walked, someone to feed it, and give it some attention. A dog is as dependent as an infant, and a few minutes of companionship that a dog walker provides often is not enough. The dog kennel of today is a much different place than that of yesteryear. Now, many are pawsitively awesome!